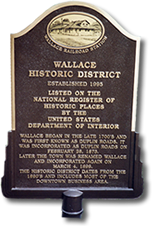 Across the country, an array of sites, districts, buildings and other structures feature a plaque commemorating their membership in the National Register of Historic Places. Because the National Register does not issue any markers of its own, it’s the responsibility of the site’s owner to display a historic plaque — which is optional but offers immense value to visitors and future owners of the property. At Erie Landmark Company, a division of Paul W. Zimmerman Foundries, we provide a seamless process for ordering and customizing an aluminum or bronze historic marker for your piece of history. Build a sense of community with your neighbors and local businesses. Drive economic growth through increased tourism and interest. Preserve and highlight the historical landmarks within your community. Educate visitors and locals about the history of your area. 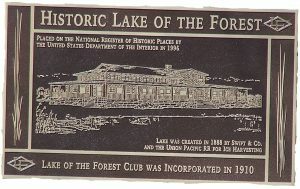 Material: Choose between an aluminum or bronze historic plaque. Border: Pick from four different borders for your plaque, including a single line, double line, beveled edge or intertwined. Background Color: Select a black, brown, hunter green, carnival red, royal blue, pewter (aluminum only) or natural background color for your historic plaque. Coating: Add a protective clear coat to your plaque. Mounting: Prepare your plaque for display with a rear (works best for brick and stone) or front (works best for wood and stucco) mount. Rosettes are available to cover your front mount screws. Font: Choose from more than 10 font types or request a specific font for your historic plaque. Inscription: Tell your historic landmark’s story with three lines of text for visitors to read as they pass by or stop in at your historic location. If you’d like to incorporate photographs, logos, addresses or other details into your aluminum or bronze historic plaque, we can help with that too. Craftsmanship: With more than 80 years of experience, Erie Landmark Company maintains a reputation for exceptional quality that stands the test of time. Cost: While many may overcharge for their services, we offer competitive prices for aluminum and bronze historic plaques. Personalization: Across our history, we’ve valued the preferences of our clients, which is why we’re happy to integrate your requests into your marker’s design. Warranty: We believe in the quality of our historic plaques, which is why every plaque with a protective clear coat arrives with a five-year warranty for normal wear and tear. At Erie Landmark Company, we offer a passion and level of craftsmanship that’s unmatched. Whether you’re looking for an aluminum or bronze historic marker, you can trust our family-owned and -operated business to deliver the plaque you want, customized down to the last detail to match your vision and standards for quality. Contact us today to learn more about our aluminum and bronze historic plaques or submit a pricing request below. Prior to casting, we will contact you to discuss & finalize your design.